Dancers can reach the impossible and we all want to be like them. little pay, beautiful, vulnerable, expressive: they look like butterflies. And they have gnarled feet, which often say more than many speeches, taking us from reality into another dimension (Robert Altman). This is the story of Raisa betankourt who aspires to become a prima ballerina. She dances from the age of 5 and as early as 8 years old she moved from Kirovognad to Kiev to attend the Choreography School. With a Ukrainian mother and Cuban father, her passion for dancing runs in the family blood. She studied throughout her childhood and adolescence and was noticed during her graduation exam and selected for the Kiev Opera and Ballet Theater. At the age of 18 she began a training course at the Theater and in 2016 after 10 years of activity she became a solo dancer, the last achievement before becoming a prima ballerina . Every day except Mondays, she spends the whole day between dance rehearsals, advanced classes and evening performances. How does one manage to transform hard work and great sacrifice into something to offer everyone in its most beautiful form? It is a capacity that goes even further the gestures, the movement and the loveliness, it is the capacity to transform. This is what allows entry to fantastic worlds, romantic or poignant. A metaphor also of life. The photographs, by Luca Catalano Gonzaga, narrate artistic moments, those of hard work, of everyday life, to the privileged access to a seemingly impossible world. (text by Muriel de Meo). Kiev 2018. 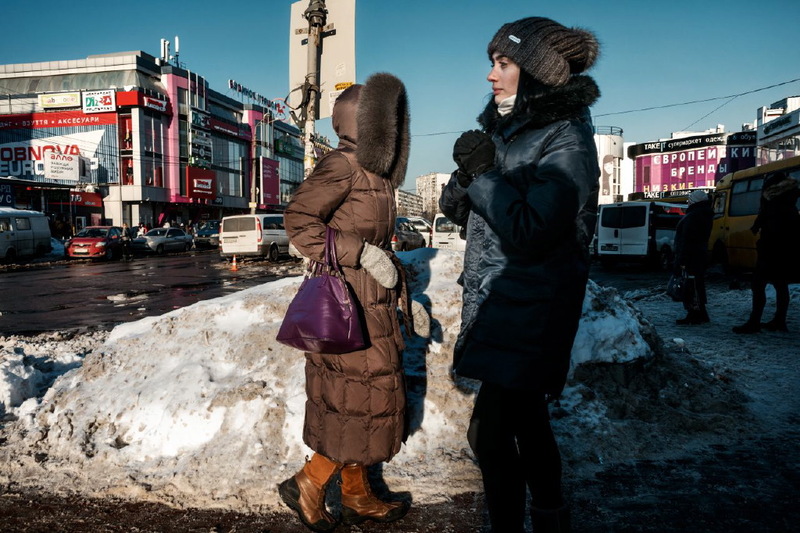 Raisa, just out of the Kiev subway, not far from the theatre. 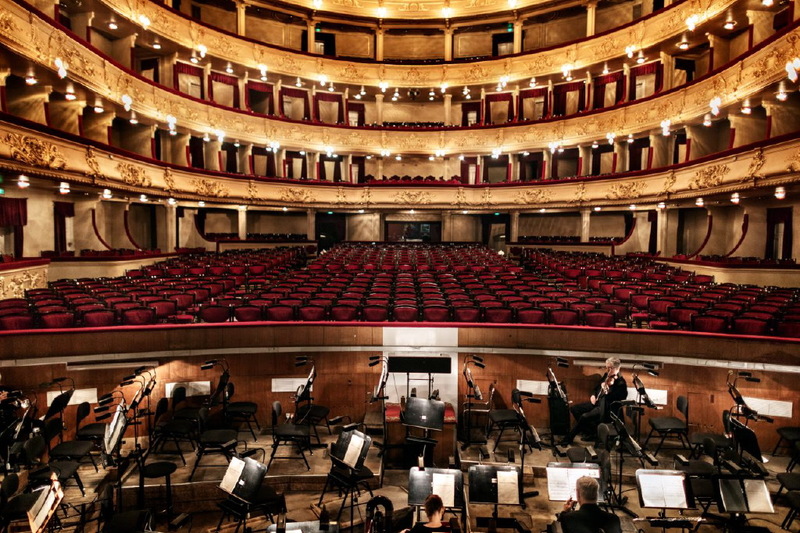 Every day, except Monday, Raisa goes to the theatre from 10 am until 10 pm to attend ballet lessons to prepare to represent different roles in the ballets in programming. Kiev 2018. Raisa on the subway, while she is going to the theatre. Kiev 2018. 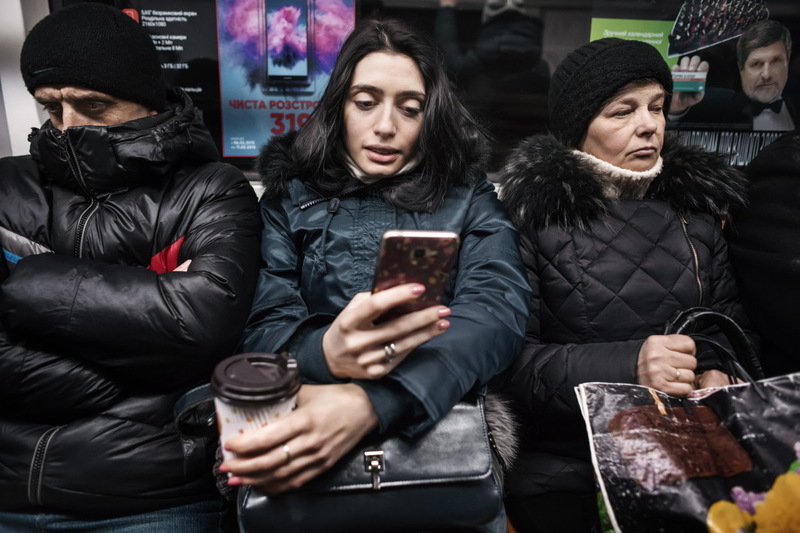 Raisa on the subway, while she is going to the theatre..
Kiev 2018. 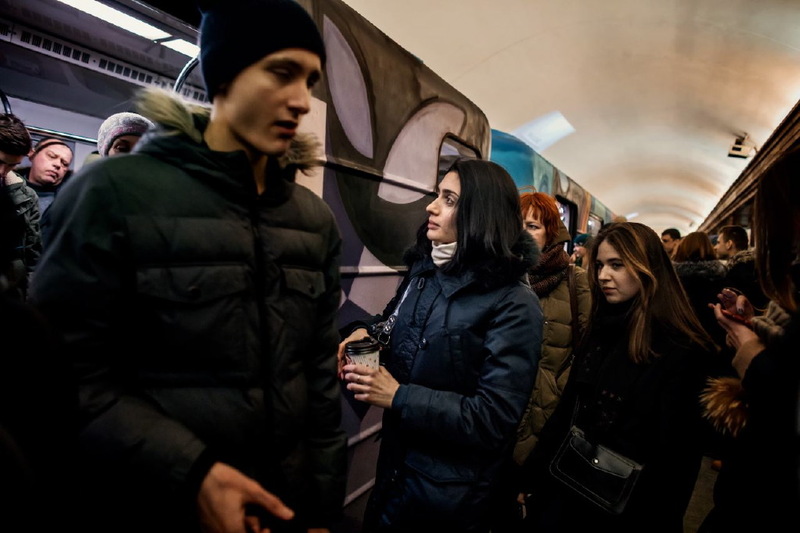 Raisa at the subway exit while she goes to the city center to shop. 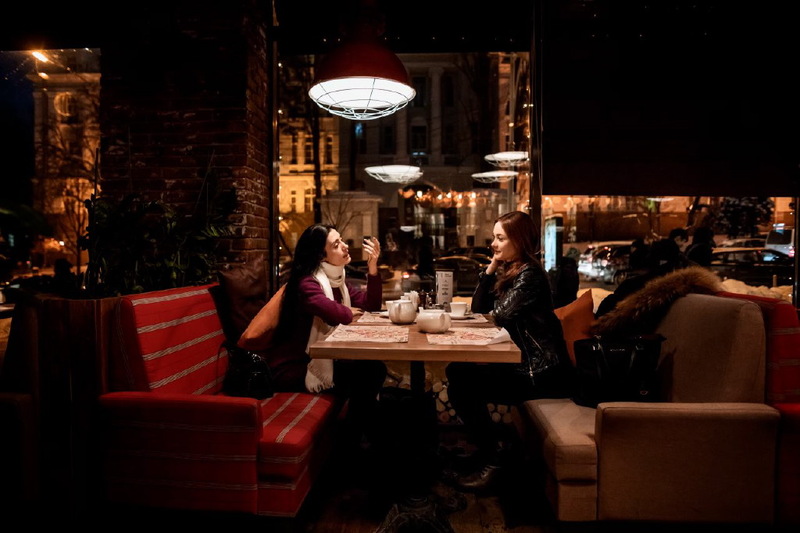 Every Monday, the only free day of the week, Raisa must concentrate every need for the extra-work activity, such as shopping, taking care of the house and her husband. Kiev 2018. 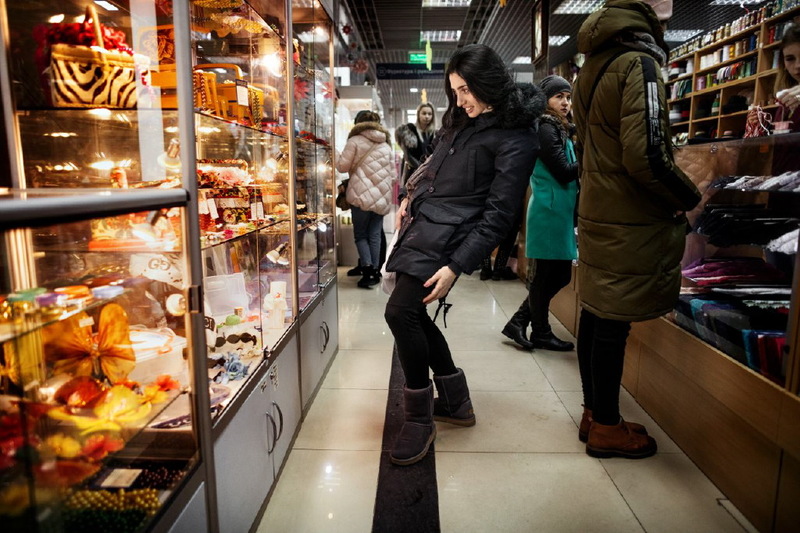 Raisa looking at different products in the city center of Kiev. Taras Shevchenko Theatre, Kiev 2018. Interior of the theatre. Taras Shevchenko Theatre, Kiev 2018. Raisa together with the ballet dancer Fabienne while trying some classical dance moves for the ballet “Julius Caesar” by William Shakespeare. Taras Shevchenko Theatre, Kiev 2018. Raisa together with the ballet dancer Fabienne while trying some classical dance moves of the tragedy “Julius Caesar” by William Shakespeare. Taras Shevchenko Theatre, Kiev 2018. 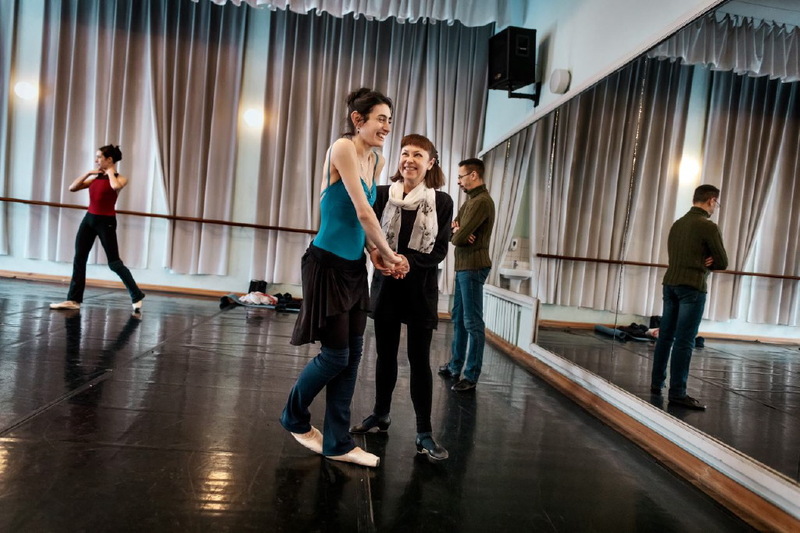 Raisa with her teacher Zhitnikova Ludmila, during the rehearsals of the ballet “The Nutcracker”. Taras Shevchenko Theatre, Kiev 2018. The ballet dancer Raisa Betankourt, in the role of “Niza” while training for a dance of the ballet “Master and Commander”. Taras Shevchenko Theatre, Kiev 2018. 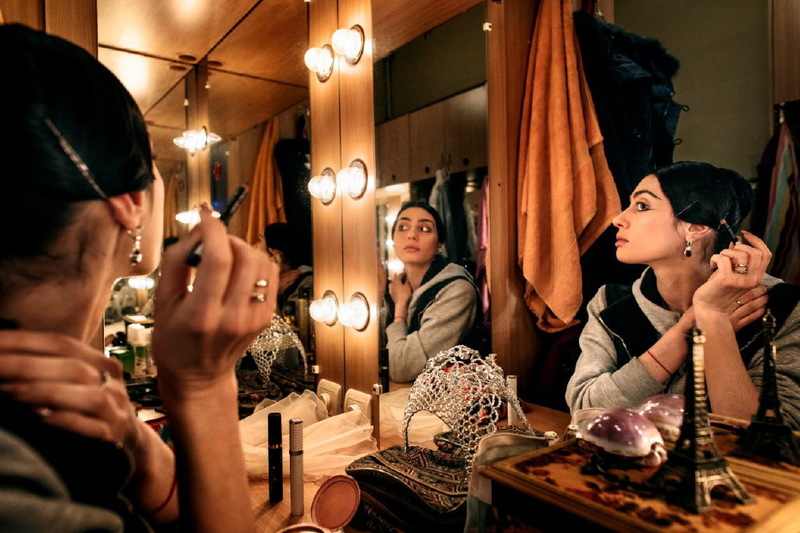 Raisa in her dressing room during the makeup session before the ballet “The Etruscan dance”. Taras Shevchenko Theatre, Kiev 2018. Raisa in her dressing room during the makeup session for the ballet “The Etruscan dance”. Taras Shevchenko Theatre, Kiev 2018. 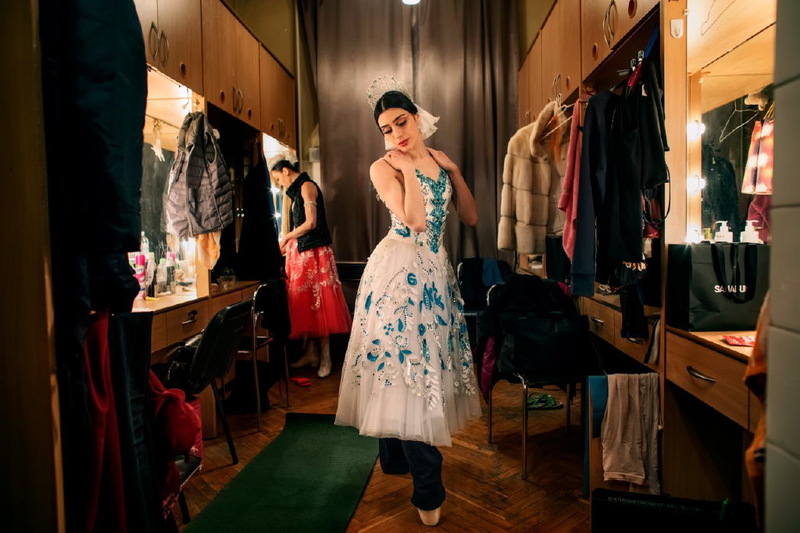 Raisa in her dressing room, doing her warm-up exercises for the oriental dance, included in the ballet “The Nutcracker”. Taras Shevchenko Theatre, Kiev 2018. Raisa in her dressing room, during the makeup session for the “Master and Commander” ballet. Taras Shevchenko Theatre, Kiev 2018. 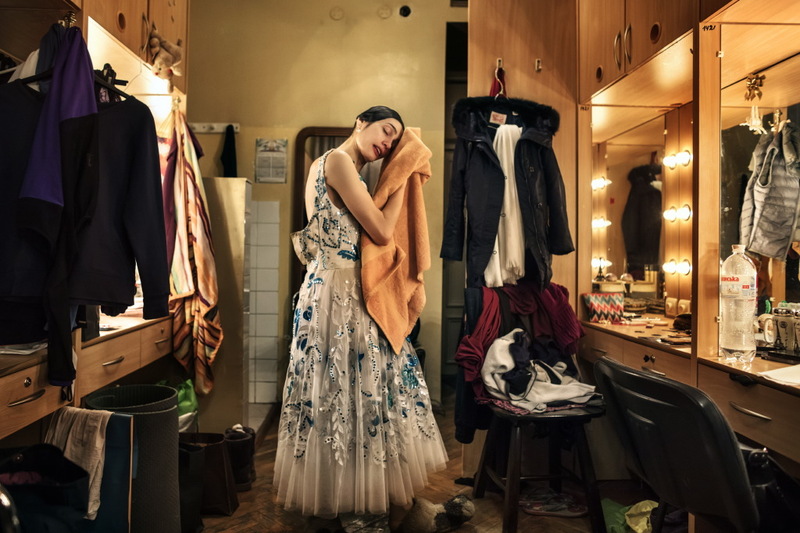 Raisa in her dressing room, while repeating some movements of her role as bride, in the ballet “Swan lake”. Taras Shevchenko Theatre, Kiev 2018. Raisa in her dressing room, ready to dance in the “Spartacus” ballet. Taras Shevchenko Theatre, Kiev 2018. Raisa, in a theatre room while she is playing some Etruscan dance steps, is called to prepare herself for the performance. Taras Shevchenko Theatre, Kiev 2018. Raisa, while she runs towards the stage for the representation of the “Spartacus” ballet. Taras Shevchenko Theatre, Kiev 2018. 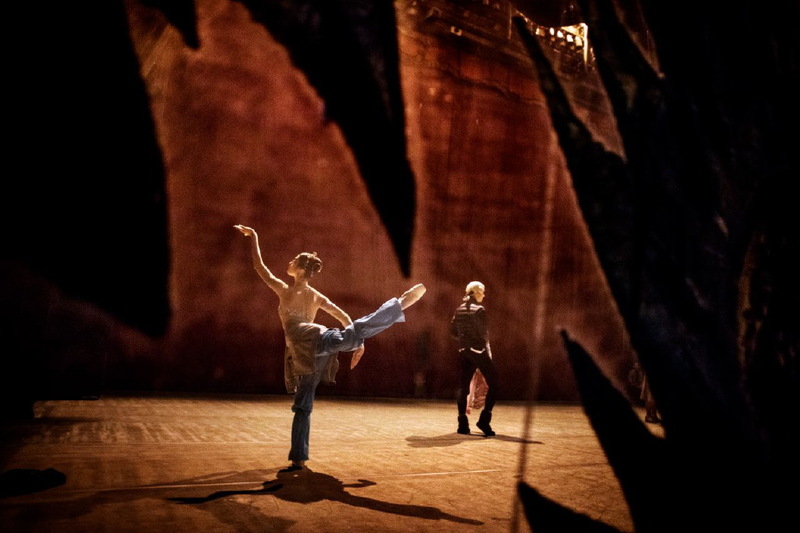 Raisa, while performing some warm-up exercises supported by the ballet dancer Vitaliy Nitronenko, a few moments before going on stage for the ballet “Swan Lake”. Taras Shevchenko Theatre, Kiev 2018. Raisa behind the scenes, last look before entering the stage for the “Master and Commander” ballet. Taras Shevchenko Theatre, Kiev 2018. 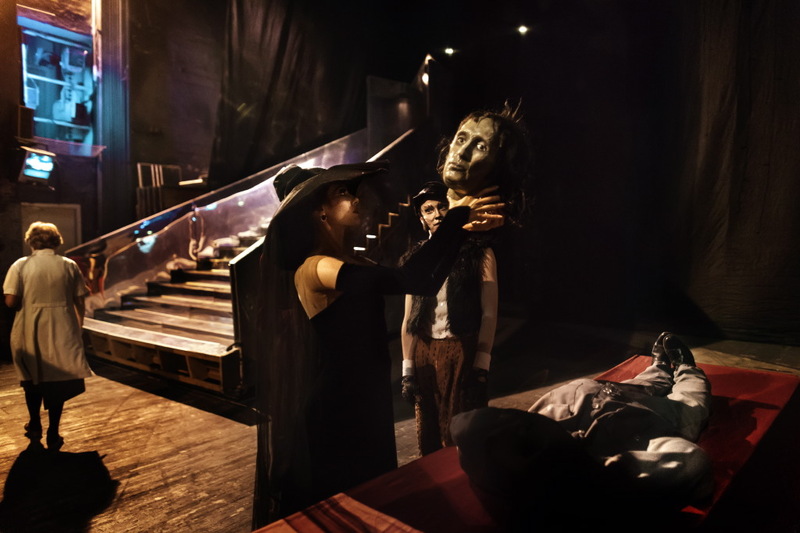 Raisa behind the scenes holding the head of Berlioz, during the rehearsals of the ballet “Master and Margarita”. Taras Shevchenko Theatre, Kiev 2018. 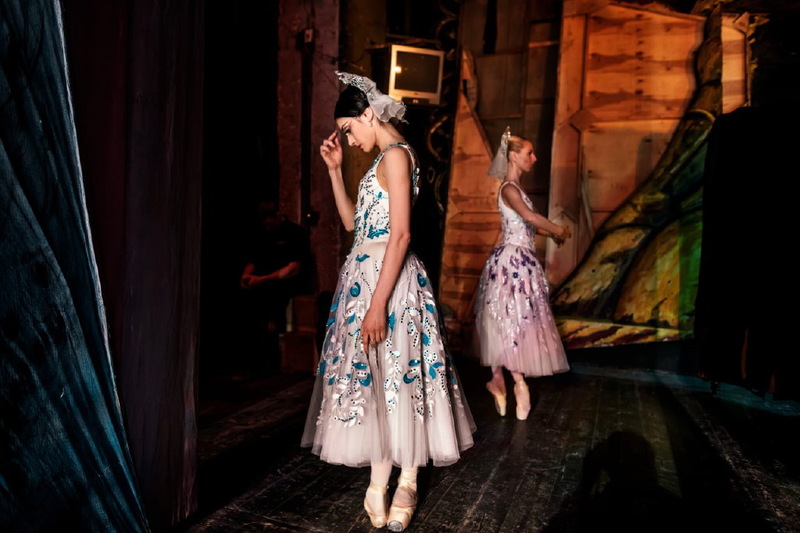 Raisa behind the stage while making the sign of the cross, a few seconds before entering the scene during the ballet “Swan lake”. Taras Shevchenko Theatre, Kiev 2018. 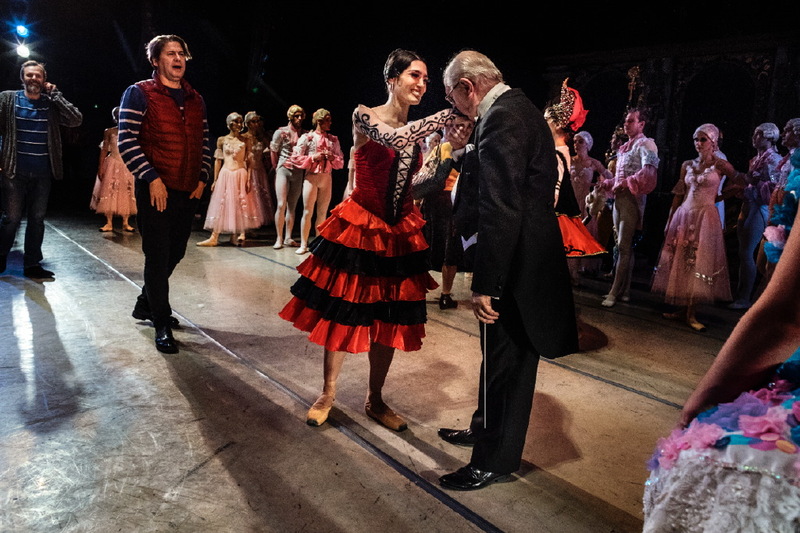 Raisa on stage with the ballet “The Nutcracker”. Taras Shevchenko Theatre, Kiev 2018. Raisa Betankourt in the main role in the Spanish dance of the ballet “The Nutcracker”. Taras Shevchenko Theatre, Kiev 2018. Raisa on stage with the ballet “Swan lake”. Taras Shevchenko Theatre, Kiev 2018. The orchestra conductor Alin Vlasenko with Raisa Betankourt at the end of the performance of the ballet “The Nutcracker”. Taras Shevchenko Theatre, Kiev 2018. Raisa in her dressing room at the end of the ballet “Swan lake”. 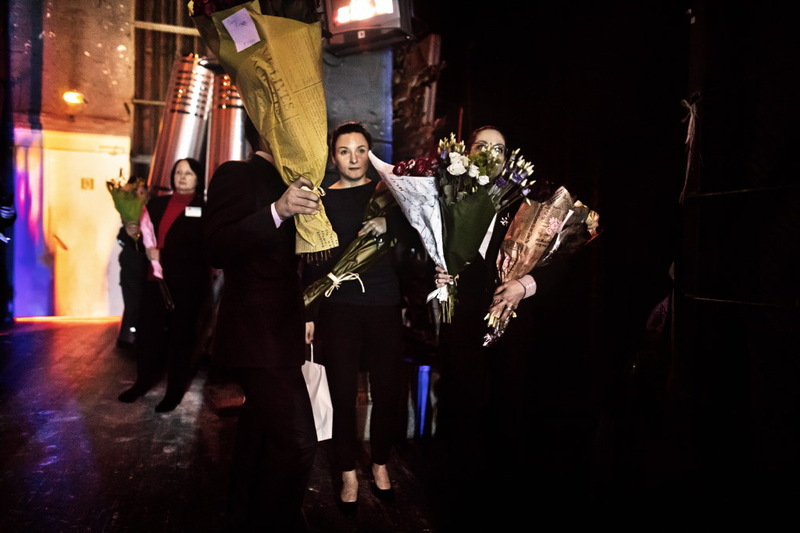 Taras Shevchenko Theatre, Kiev 2018. 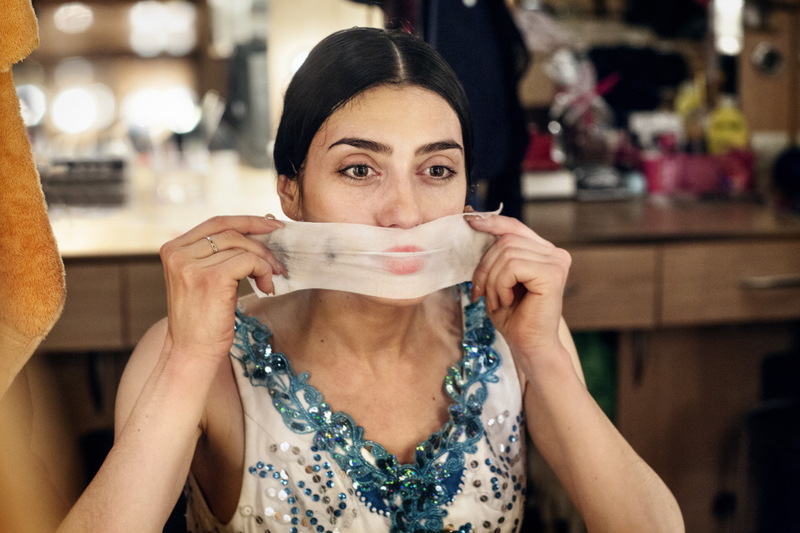 Raisa in her dressing room, while she removes her makeup, after having performed in the role of the bride in the ballet “Swan lake”. Kiev 2018. Raisa having a manicure, a few meters from the theatre, in a rare moment of rest. Kiev 2018. Raisa with her friend ballerina friend Fabienne in a bar outside the theatre in a rare moment of relax. 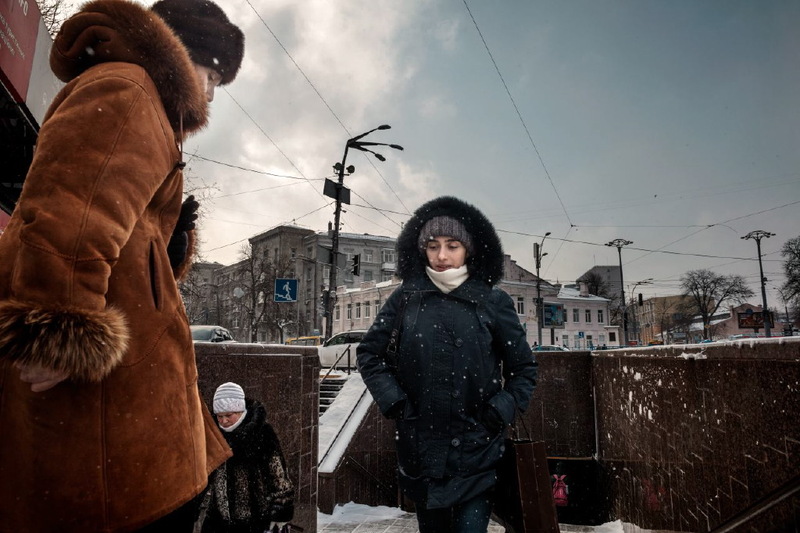 Kiev 2018. 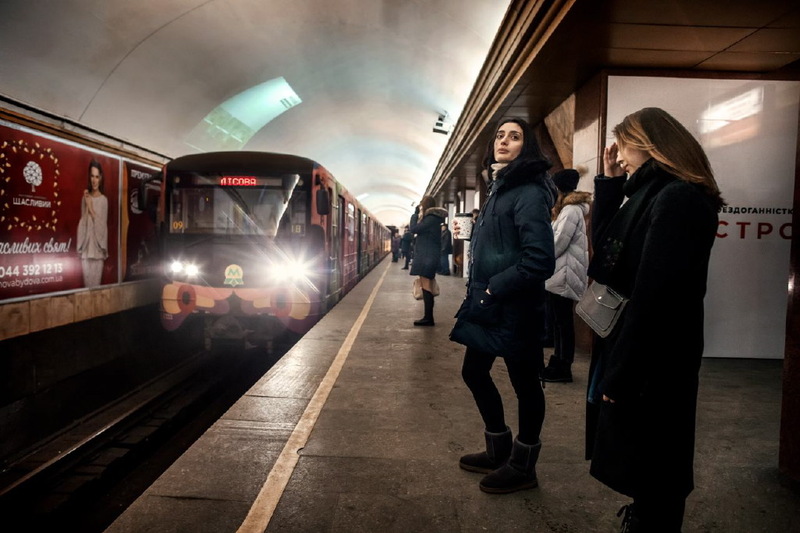 Raisa waiting for the subway to go to work at the Taras Shevchenko theatre.